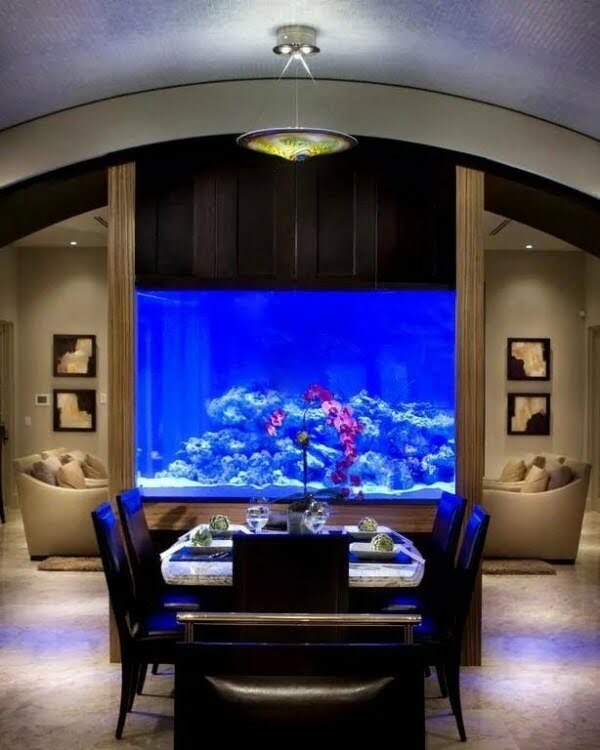 Aquariums and fish tanks bring natural beauty to home interior design. 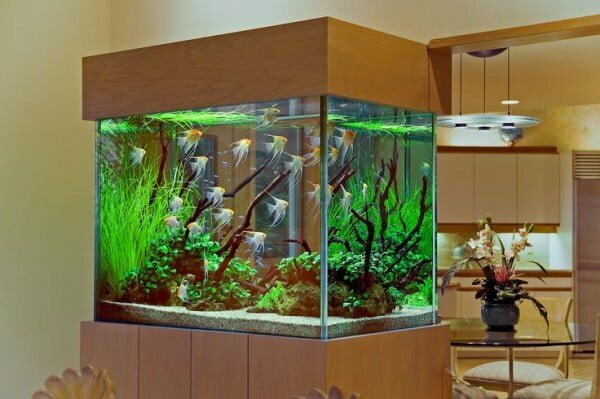 A colorful tank immediately becomes the accent of home decor especially if it’s big enough. 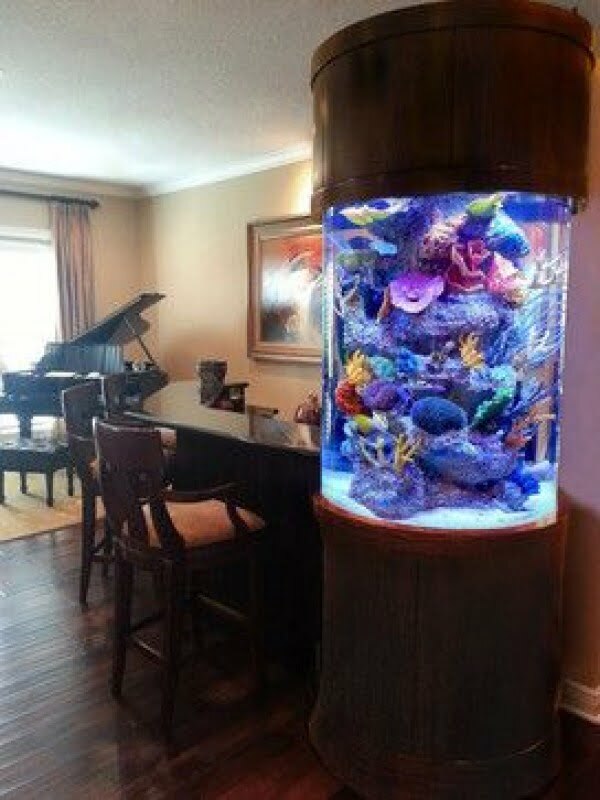 And you cannot go wrong with the choice of an aquarium because it will fit in any decor style. 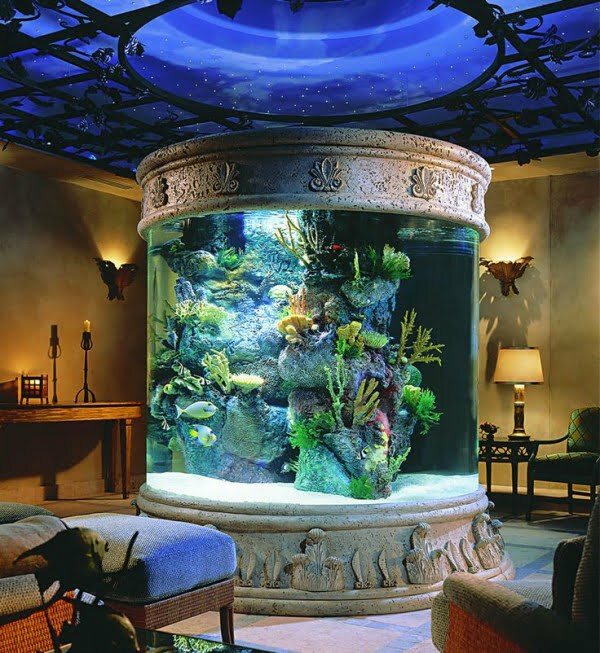 As you will see, there’s absolutely no limits as to where an aquarium can be placed or integrated. From furniture to the walls, floor and even the ceiling. And wherever it is, it is a very attractive home decor element. 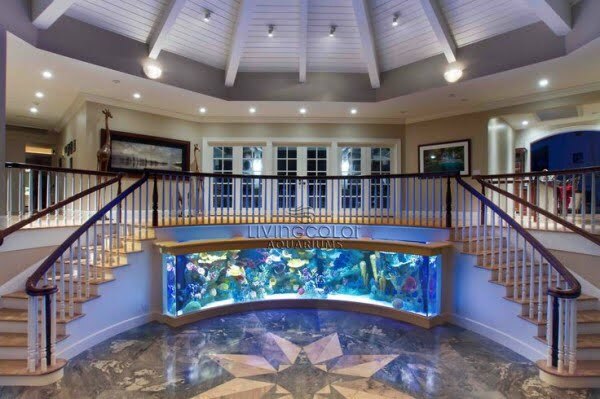 Here are 36 of the most beautiful uses of aquarium in the interior design. 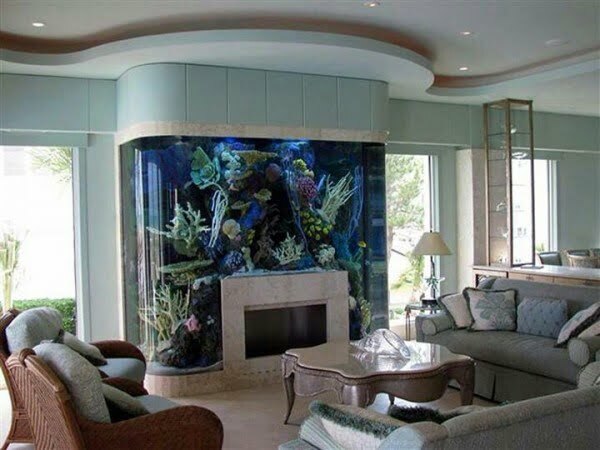 An integrated wall aquarium explodes with color and it’s a welcome accent in modern style decor. 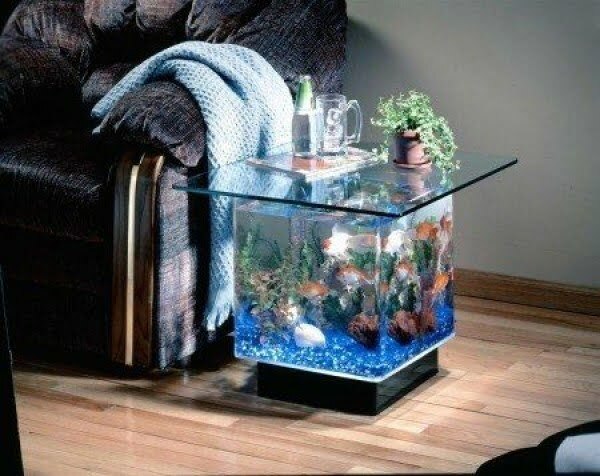 Aquarium tables are surprising and attractive. 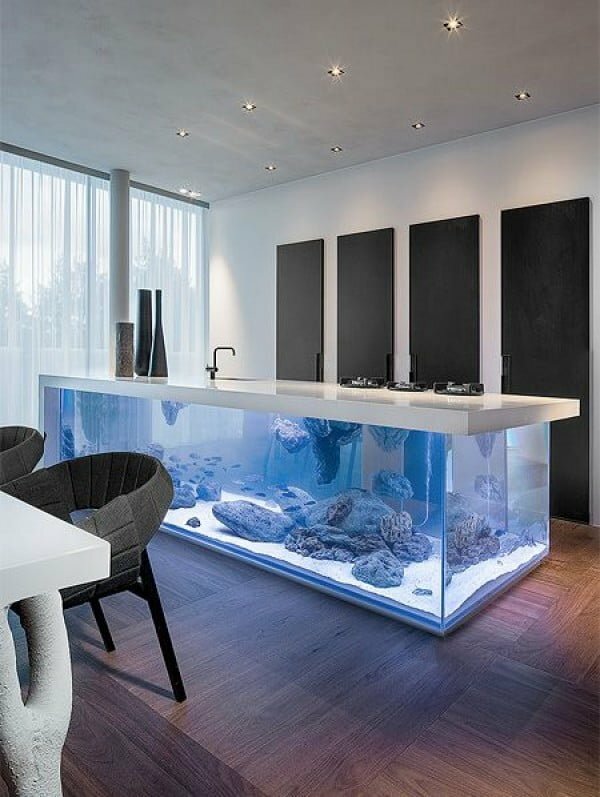 The use of floor aquarium makes the interior design truly unique. 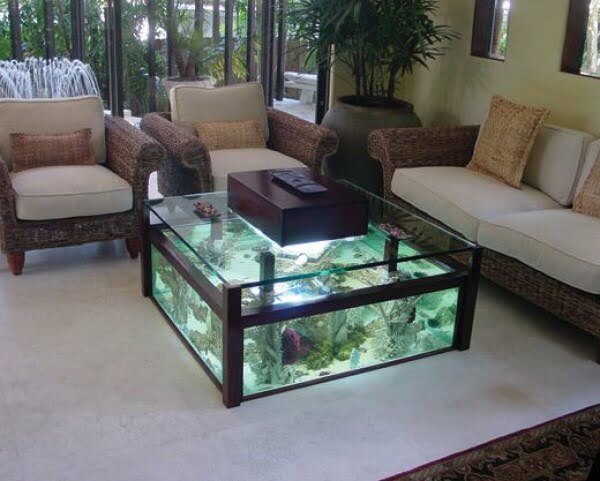 The aquarium table can be as big as you want. 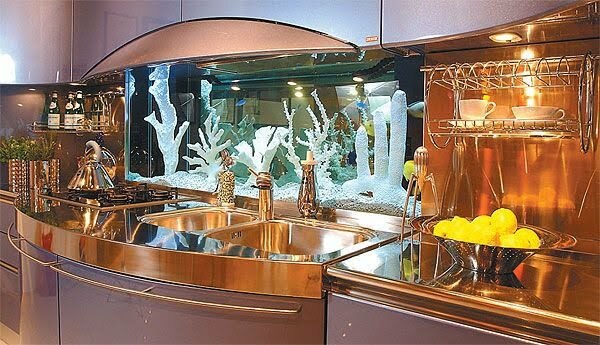 Looking for more surprising places to add a fish tank, try a kitchen island. 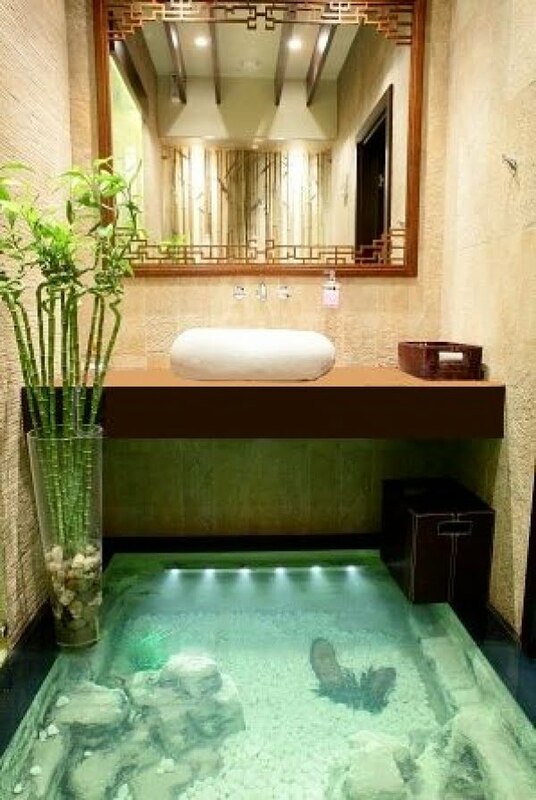 Bathroom is a great place for an aquarium, in this case it’s the floor. 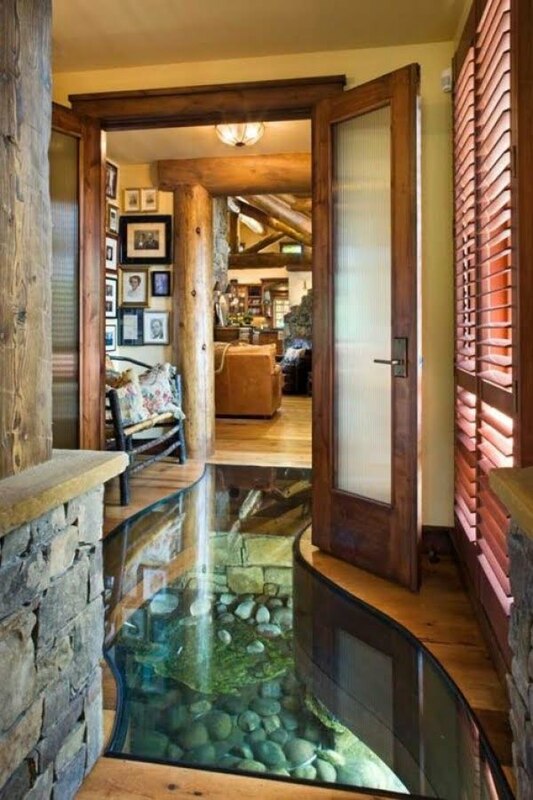 An amazing doorway integrated aquarium takes it to the new level. 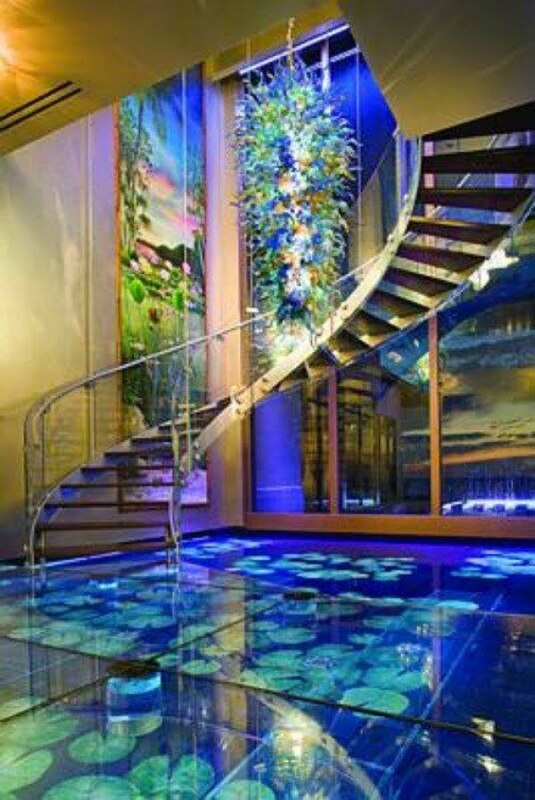 This monumental aquarium comes as if from a super villain lair. 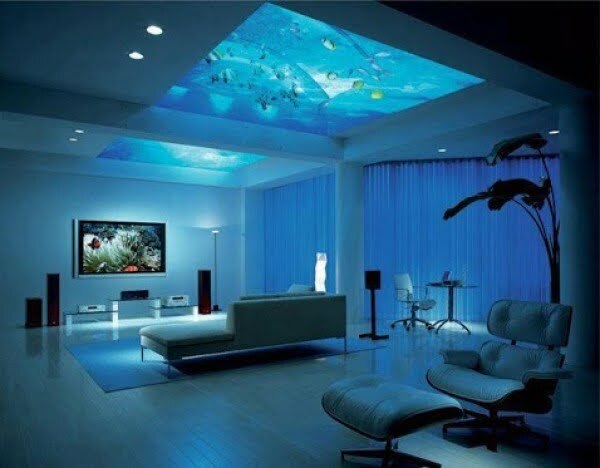 Ceiling is also a great option for an aquarium. 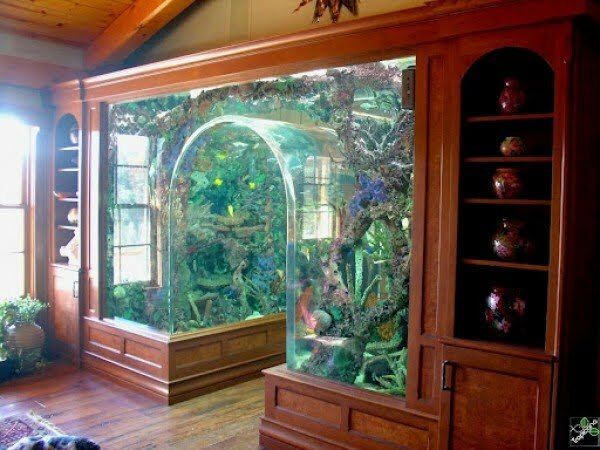 Of all the unlikely paces a fireplace is quite a surprising place for an aquarium. 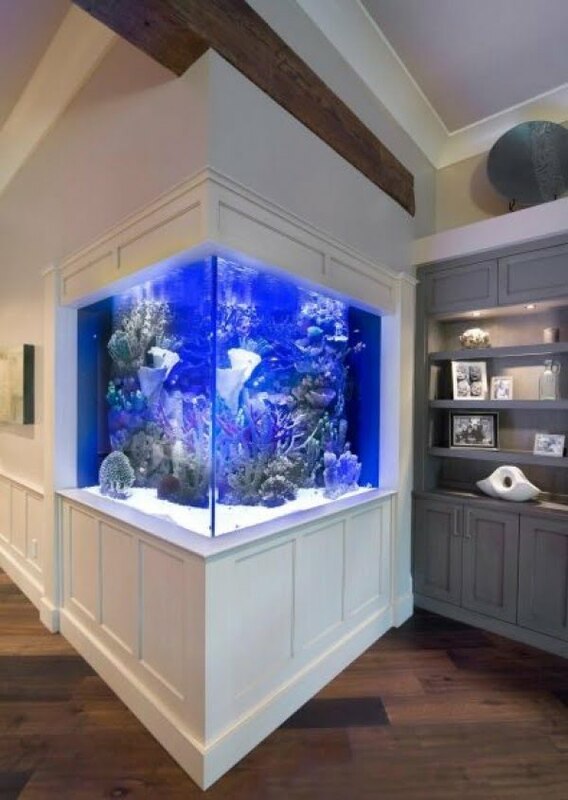 You’ll see plenty of wall integrated aquariums and they’re all fantastic. 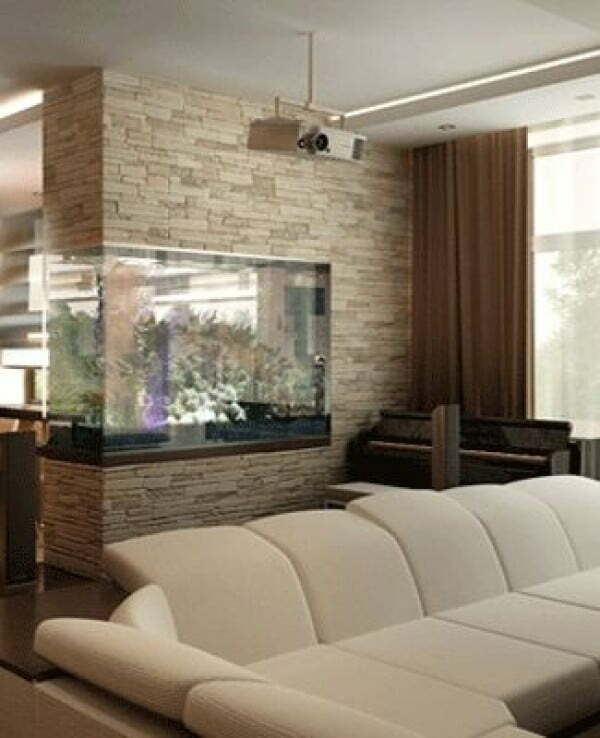 Space separating walls with aquariums are great as an accent for the room. 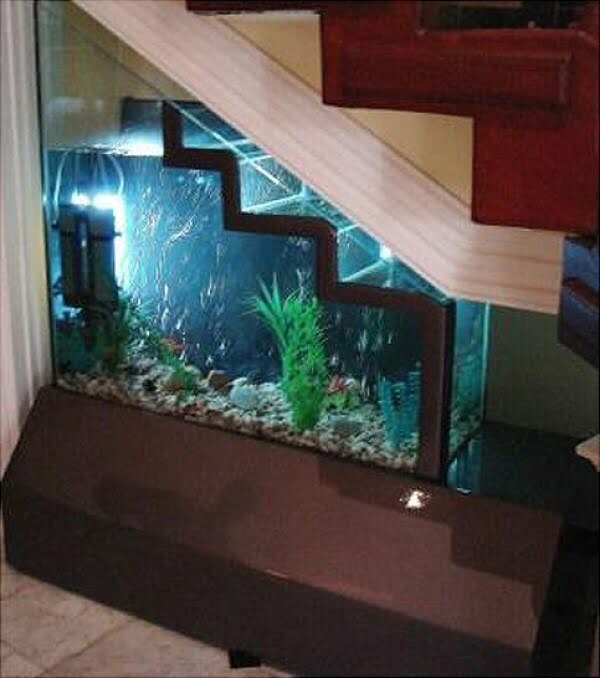 Staircase space can also be perfect for a fish tank. 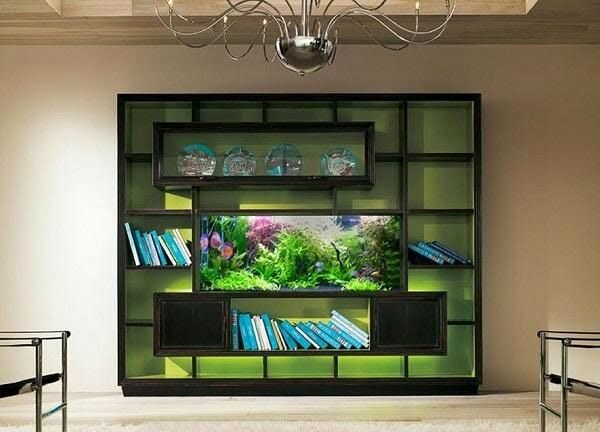 Beautiful integration of a fish tank and book shelves. 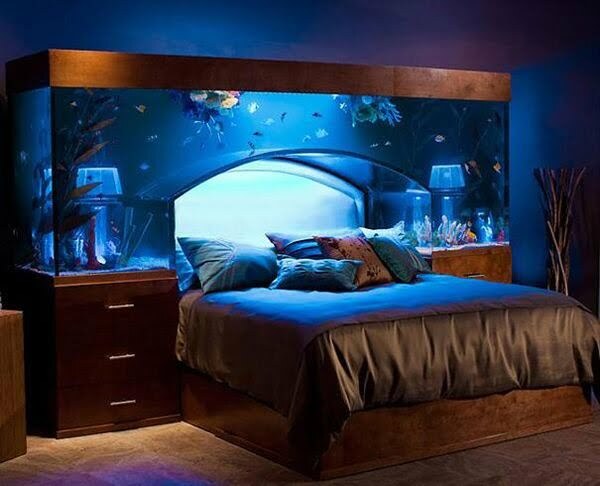 This setup lets you sleep with fishes, literally. 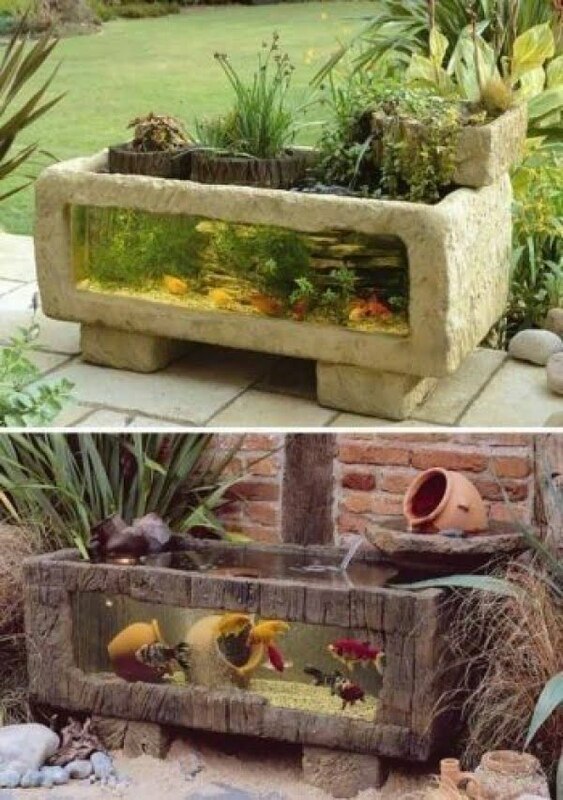 Flip the page for 16 more wonderful aquarium designs.